Based on the ingenious principle of the Laing D5 ball motor with ceramic bearings, we have used our know-how from more than 15 years to create a pump that is unparalleled worldwide and covers almost all electronic tasks in water cooling just in a single device. The pump combines the outstanding running characteristics and performance of the legendary D5 pump with electronics that simply leave no wishes unfulfilled. In order to make the assembly as easy as possible and to enable later updates of the electronics, we have divided the pump into a motor unit and an electronics unit. Both modules are securely connected by simple plugging and can be easily disconnected to mount a pump top. In addition, the electronic unit can remain connected to the computer during pump maintenance. All cables and the fixing of the pump do not have to be loosened! But the D5 Next is more. It controls a complete water cooling system including the fan, already has all necessary sensors and can even take over the lighting including AMBIENTpx for the ambient backlight of your monitors – controlled by RGBpx. 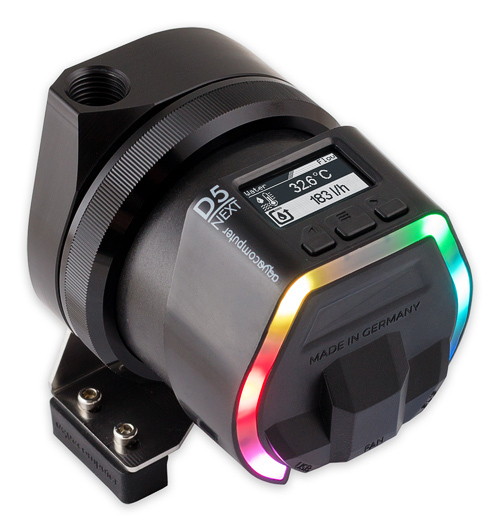 Even an acoustic alarm in case of errors is integrated and an additional RGBpx lighting integrated directly into the pump for great optical effects. 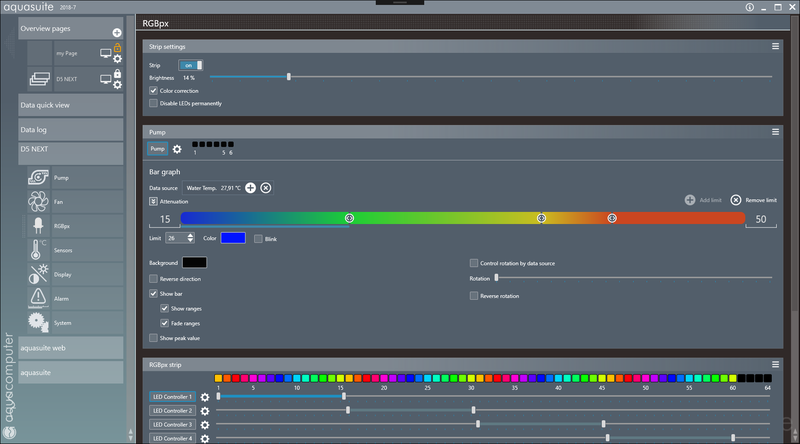 With the aquasuite software we set the standard for control software. 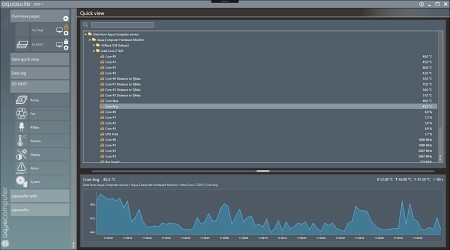 From freely configurable overlay pages shown at the desktop or aquasuite Web as IoT connection to integrated hardware monitoring or data analysis - there is simply nothing comparable at the market. With the D5 NEXT, the aquasuite is included in the scope of delivery and you can start immediately. 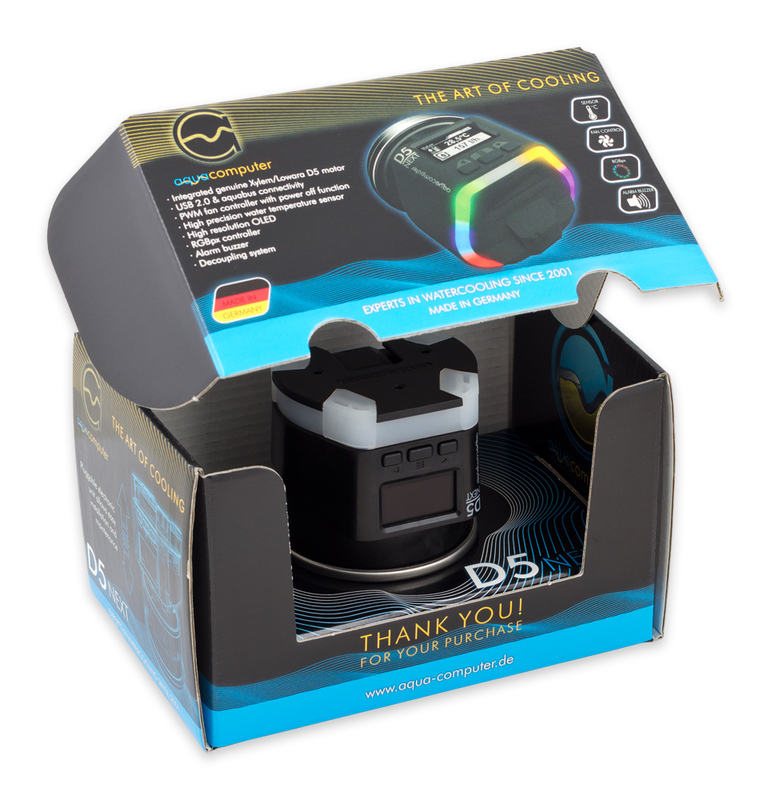 The D5 NEXT communicates with the aquasuite software via a USB 2.0 interface and you can comfortably make any settings and monitor the pump data. We have integrated an innovative, FEM optimized decoupling system made of ultra-soft silicone and provide the necessary accessories with a mounting bracket for all possible mounting types! 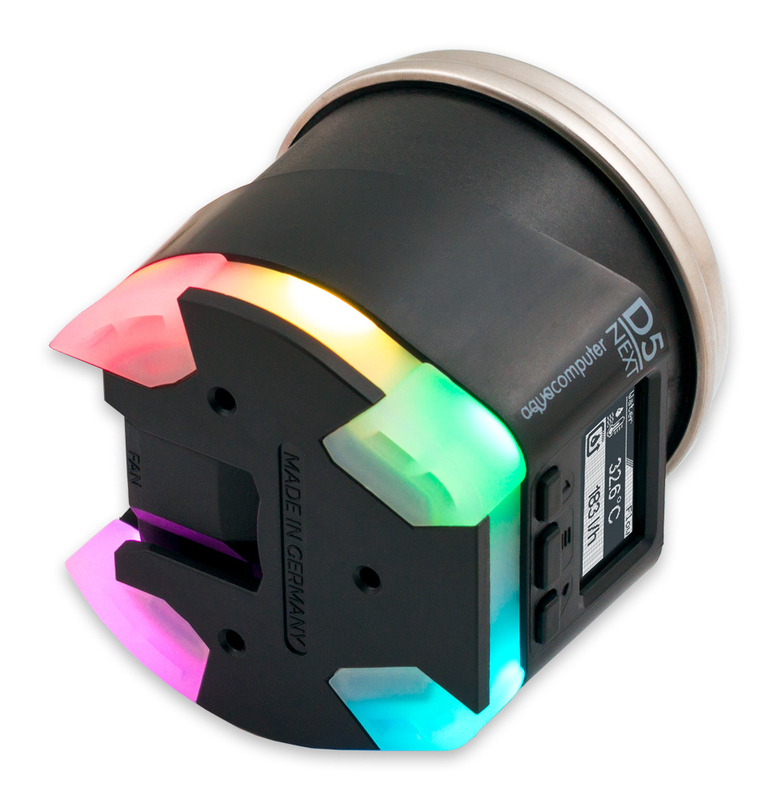 The silicone decoupler is also illuminated with great effects given by RGBpx LEDs integrated into the pump. For example it is possible to visualize the speed of the pump by the LEDs. In the event of an alarm, an optical alarm is shown by red flashing LEDs at the pump. If the pump is attached to an expansion tank and not attached via the decoupling system, the decoupling system can be exchanged against a flat silicone insert which is included in the scope of delivery and can also be illuminated. Of course, the LEDs can also be deactivated and their brightness adjusted. 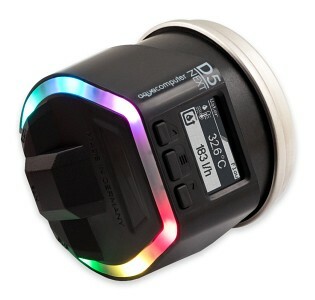 OLED, USB, Virtual Flow, water temperature - everything you need! 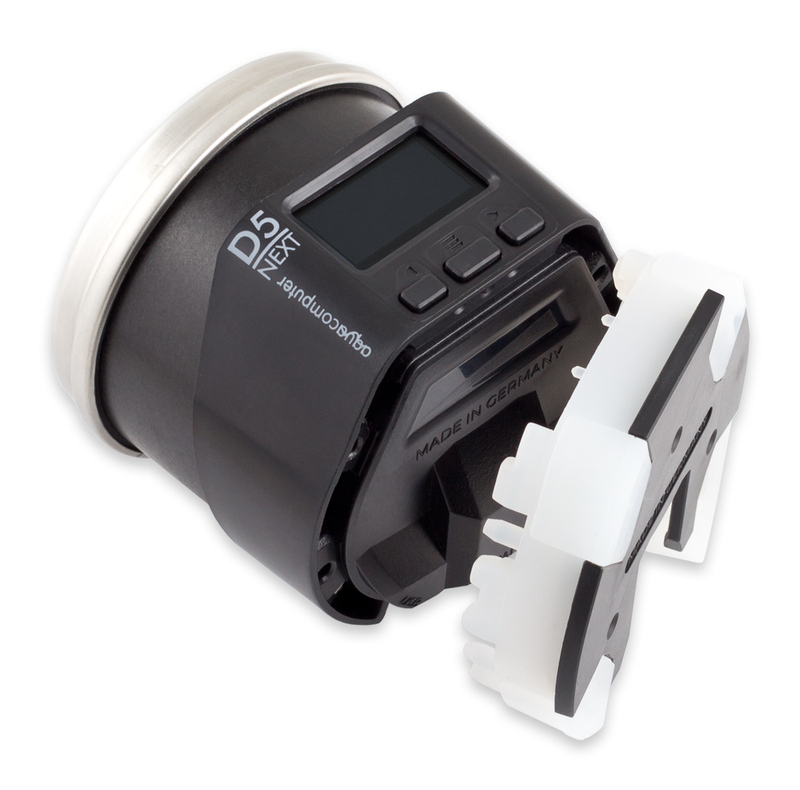 The performance of the pump can be set directly on the display of the pump or via USB with the aquasuite software. Speed and current consumption are monitored by the electronics. The integrated Virtual Flow sensor technology even allows the flow rate to be set directly and the pump adjusts itself automatically. Via the fan output of the pump PWM controlled fans can be controlled e. g. according to the water temperature. The well-known controllers including curve and setpoint controllers are available. The D5 NEXT can also switch off the fans completely. The power here is max. 25 W and should therefore be sufficient for almost any system. The support of RGBpx also deserves special mention: The D5 NEXT offers the same functionality as the QUADRO fan controller. 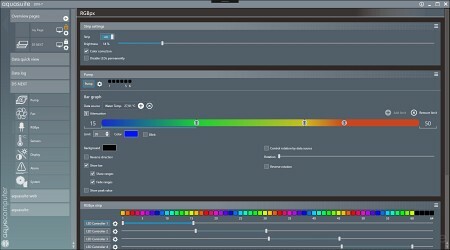 Up to 64 RGBpx LEDs can be controlled individually in color and brightness after many controls. All wishes are fulfilled: From bargraphs that display temperatures, CPU load or other monitoring values to sound effects, artificial snowfall and the enormously complex AMBIENTpx function that illuminates the background of the monitors depending on the current screen content giving a perfect ambient light, everything is possible. If RGBpx is not used, the identical connector can be reconfigured for use as an aquabus connection. 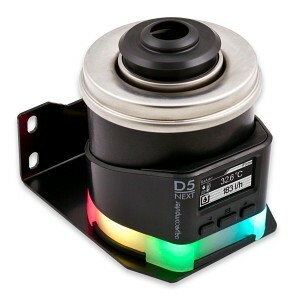 In this case, the D5 NEXT can be controlled via an aquaero and makes the data available to the pump via the interface. This opens up countless new possibilities in the control system. We are proud of the really precise water temperature sensor. This is mounted in the motor unit of the pump directly on the metal housing and delivers extremely accurate and low-delay values. It is therefore perfectly suited to provide the data to control the fans. A complex compensated algorithm in the pump calculates the current flow using the motor parameters of the pump and the temperature. 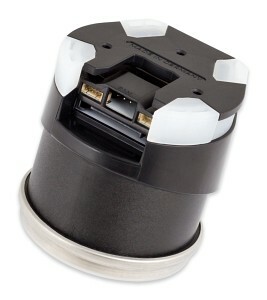 The accuracy does not reach that of an external flow sensor, but is completely sufficient for monitoring the system. Alternatively, a flow sensor can be connected to the fan output of the pump. 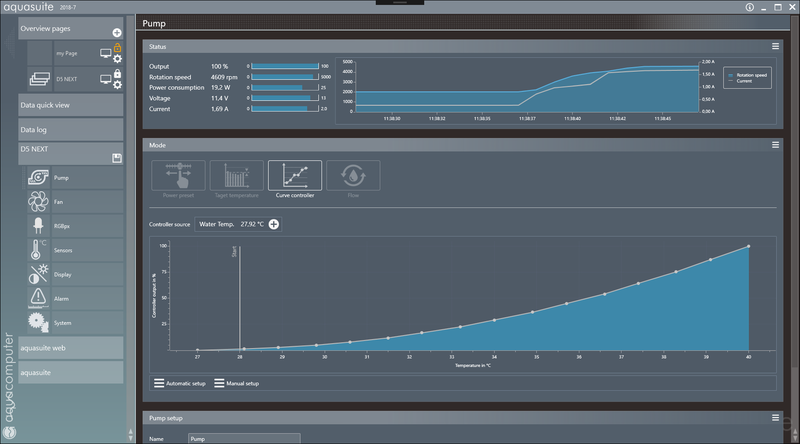 Software sensors: Use hardware sensor data to control the system. 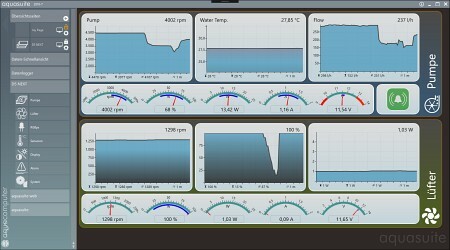 Monitoring values of the PC or other Aqua Computer components can be used to control the pump, the fans or RGBpx effects. Up to 8 software sensors can be defined. These sensor data are transferred to the D5 NEXT by the background service of the aquasuite using the USB connection. The pump is operated via mechanical keys or via an intelligent touch slider (only available if decoupling is not used). For example, performance specifications can be set quickly and directly with a simple finger move. The OLED display with 128x64 dots shows menus, overview pages and charts. Of course, almost everything can be adjusted individually. 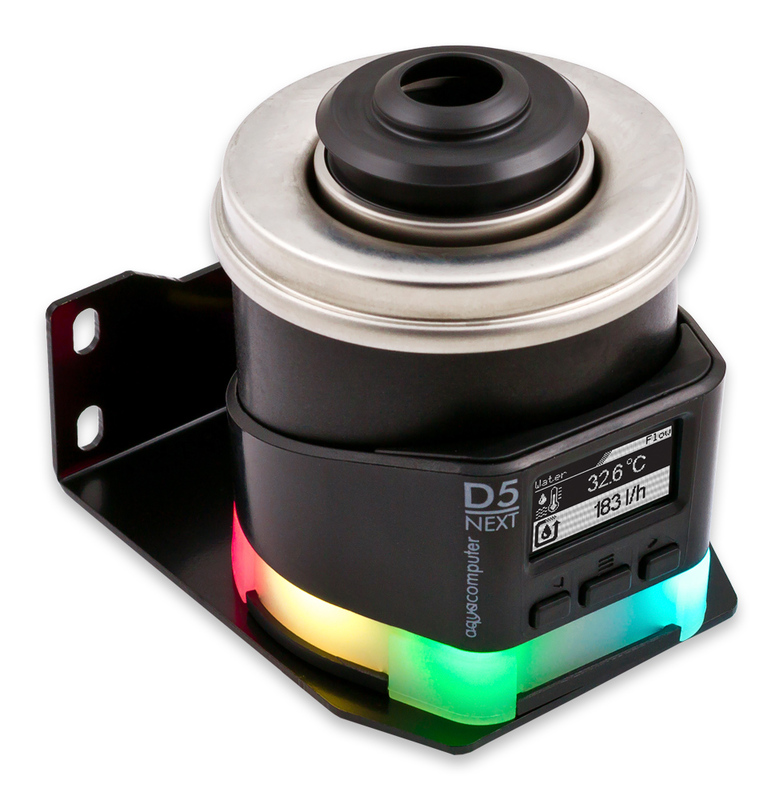 The D5 NEXT is pure high-tech. It combines a mechanically perfectly constructed pump with an extremely low noise level and electronics that is unique worldwide. 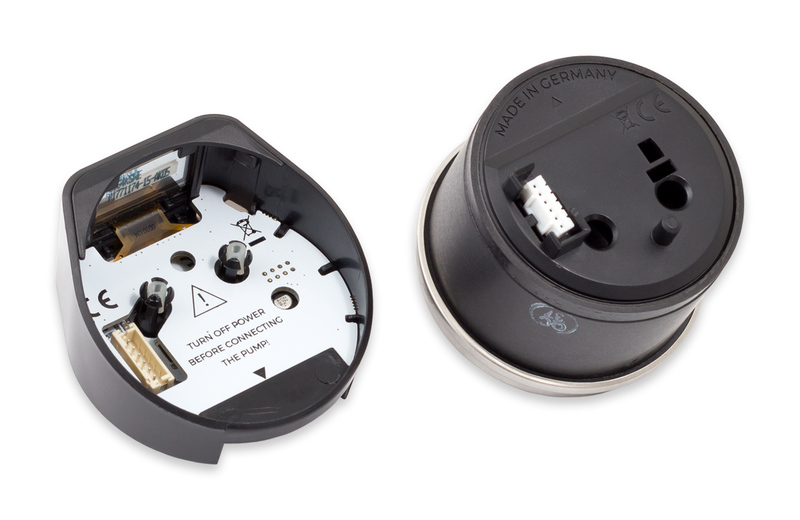 The integrated decoupling system adds additional functionality. 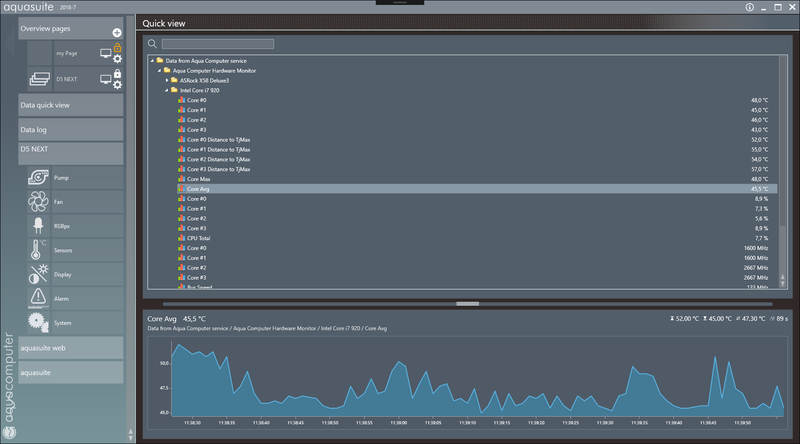 We can't show you all the functions here - test them for yourself, we are sure we can convince you. In connection with the also new ULTITOP D5, which has been optimized for silent operation, we can present today a pump that will convince you! 8 software sensors for external data, e. g. CPU load, CPU temperature, etc. max. power consumption: 23 W pump motor, 25 W fan, 17 W RGBpx. Total power max. 65 W, typical 20 W.
The D5 NEXT pump will be available from mid-October at a price of 119,90 Euro and can be already ordered. OMG I want one now!!!!!! Well done guys another outstanding design and I look forward to using them. Are there options for dual D5 pump configuration with a tube/cylinder reservoir? 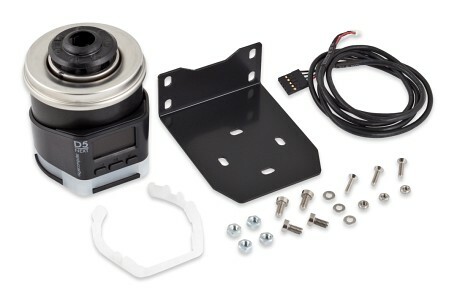 Insanely awesome, will it be compatible with AMS radiators with d5 module? Put me down for one of these. Looking at the video and pics and I have to presume it is incompatible with my current Aqualis 150 res? Awesome work! This is pretty much a mini Aquaero in a Pump!!!! 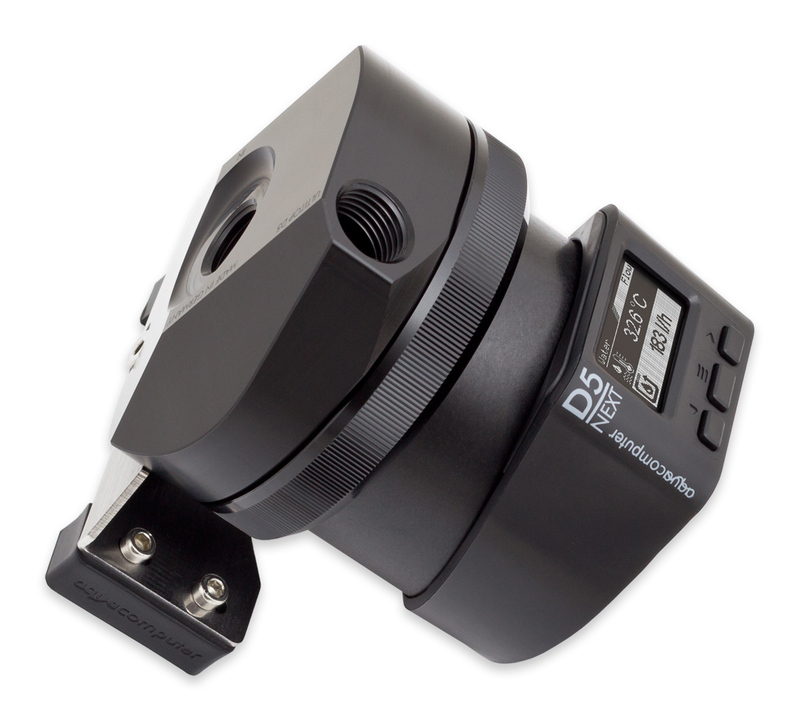 Works with every D5 accessory that we sell, also all aqualis D5 reservoirs or the combination of a D5 pump adapter and aqualis base. 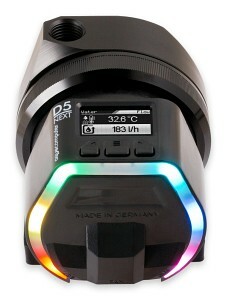 My mistake, I was looking at the combined D5 Next and the new top. Ordering now. Hi, I bought 2 D5 NEXT RGB, but I should connect them to this tank https://www.aquatuning.it/watercooling/v…lplex-pro-50-lt with OD50mm. I would be interested in this base https://shop.bitspower.com/index.php?rou…h=BP-DDCRP-DRGB with OD60mm, but I don't know if it's compatible with our D5 NEXT RGB. So, I would like to know if you can connect and if you have an adapter from OD60mm to OD50mm. Oh yeah, sorry for my distraction, but the ULTITOP D5 as a fitting is fine for that OD50mm Alphacool's tank? Perfect, I proceed by buying 2. Thanks! What are the dimensions of the pump, specifically with the ultitop? I'm mostly concerned with the length because I have limited space. An order in to Aquatuning USA waiting for the D5 Next to arrive. It has currently exceeded their expected delivery date. I need some patience, and I need it NOW!